Melbourne Airport, cosmopolitan Melbourne CBD and a number of major tourist attractions are all within close proximity to Mantra Tullamarine Hotel, making this property an ideal base for transient travellers, business guests and holiday-makers. The property consists of 277 rooms, including spacious hotel style apartments, executive spa and deluxe studios, four suites and a penthouse. Some rooms feature grandiose floor to ceiling granite bathrooms, fully-equipped kitchenettes and laundry facilities. For large or extended family groups, many rooms interconnect. 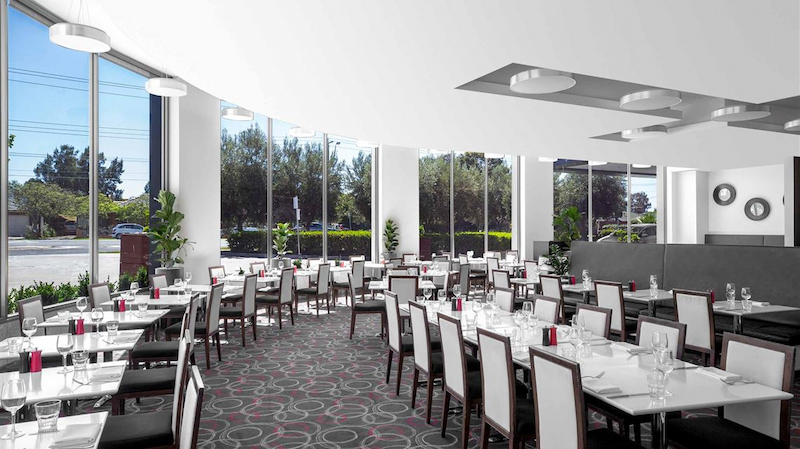 Mantra Tullamarine Hotel boasts a host of modern appointments and also provides 19 rooms designed to cater for hearing, sight and physically impaired guests. The hotel offers 4.5 star style accommodation, guest services and facilities, including 24-hour reception, room service and airport shuttle bus. There is also an on-site lap pool, sauna and gymnasium. The purpose built, state-of-the-art conference and function facilities are a bonus for corporate travellers and business guests. This modern facility offers six spacious meeting rooms, two large inter-joining event rooms and pre-function lounge areas, catering for up to 300 guests. Woodlands Restaurant, Lounge and Bar is conveniently located within the hotel and is open 7 days for breakfast, lunch and dinner. This venue offers a relaxing, dining and leisure facility with a tempting menu to suit all tastes. Mantra Tullamarine Hotel offers guests premier guest facilities and services. The hotel also offers close proximity to Melbourne’s Airport, tourist attractions, CBD and business centres. 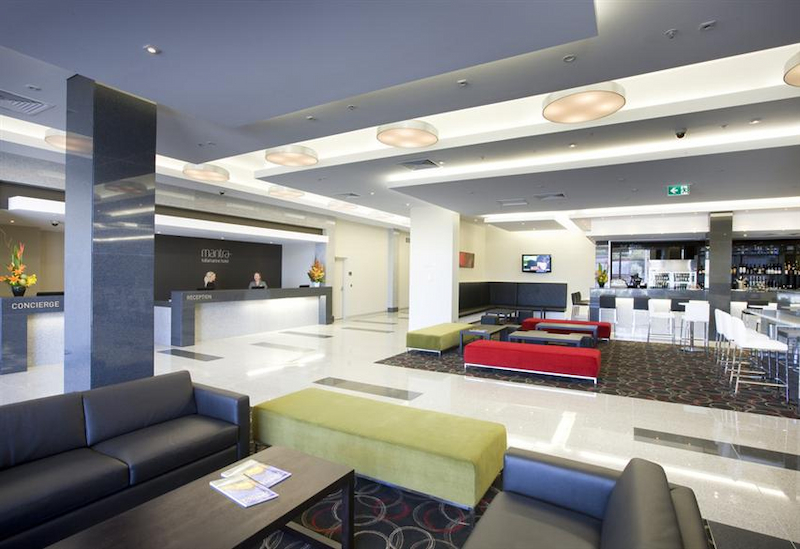 Mantra Tullamarine Hotel is a modern hotel, offering guests style, comfort and convenience. With a seating capacity of 140 guests, Woodlands Restaurant, Lounge and Bar is located within the hotel and offers a tempting menu to suit all tastes. The Restaurant, bar and lounge is the perfect escape for an end of day retreat with a cool beverage or cocktail in the bar area and is open 7 days. 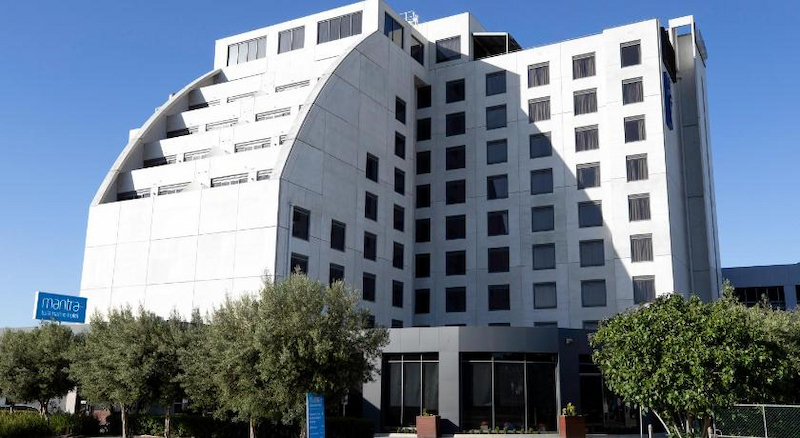 Mantra Tullamarine Hotel provides guests with a range of accommodation options, including Executive, Premier and Deluxe Studios, spa rooms, suites and Penthouse suites. The hotel also offers fully-equipped rooms for hearing, sight or physically impaired guests. 19 rooms for hearing, visual or physically impaired guests. Melbourne’s eclectic personality fuses history with cutting edge, and offers a vibrant multi-cultural community with a reputation for fine food, premier shopping and world class entertainment. Attractions include St Kilda Beach, Luna Park, The Giant Sky Wheel, Melbourne Zoo and Melbourne’s 360° Observation Deck, along with a host of gardens, arts and cultural events and museums to visit and enjoy. If water views are more your style, take a wander along the Yarra River or dip your toes in the sandy beaches of stunning Port Phillip Bay – both within easy reach of the bustling city centre.